Dept. 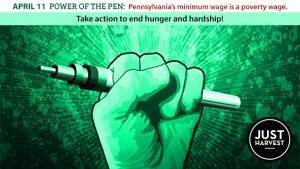 of Human Services Bldg., 1 Smithfield St.
Join us at Just Harvest’s monthly public meeting series, Power of the Pen, to write to legislators and the public about how key public policies impact you. 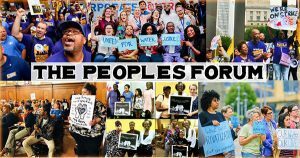 Repair the World, 6022 Broad St.
Join Just Harvest and other Pittsburgh UNITED members, and other allies at this forum for candidates in the May 21 primary. Join Just Harvest and other Pittsburgh UNITED members and other allies at this forum for candidates in the May 21 primary. 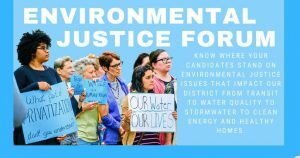 This forum is an opportunity for residents to learn where each of the candidates stands on environmental justice issues that they care about, including healthy food access.